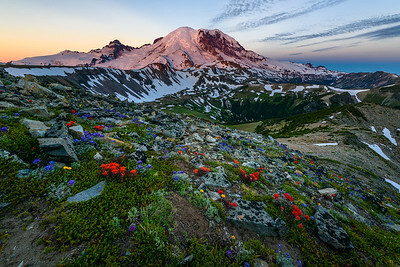 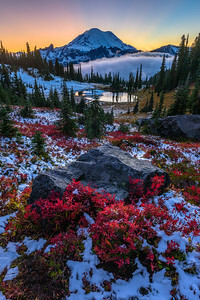 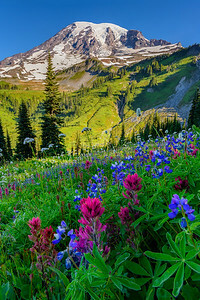 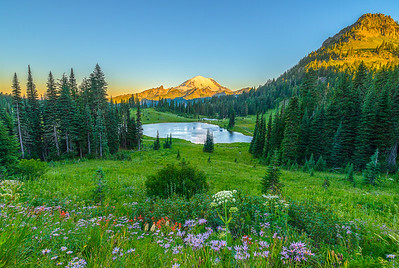 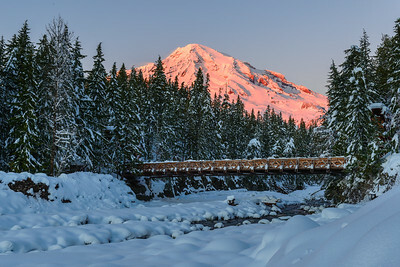 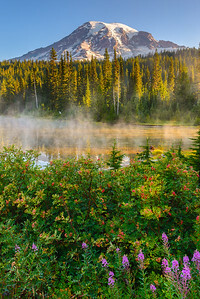 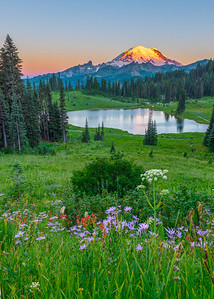 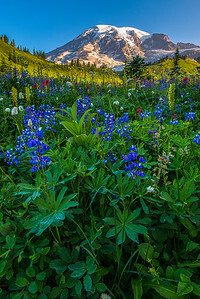 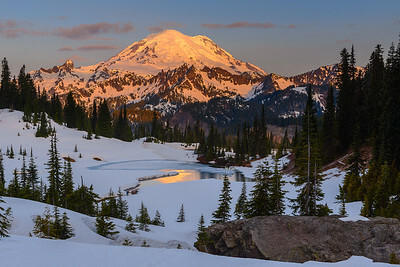 Mount Rainier aglow at sunset during the wildflower bloom in Spray Park. 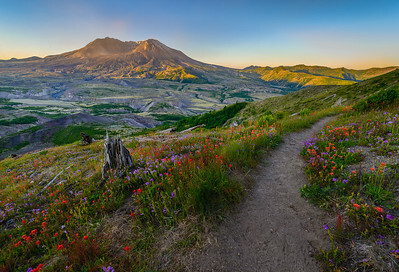 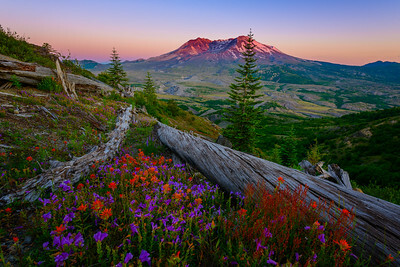 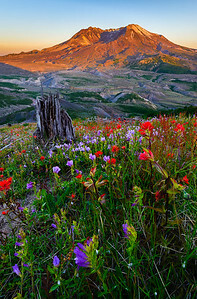 Mount St Helens and the incredible wildflower bloom during sunset. 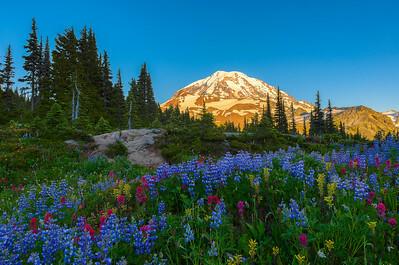 Enjoying the wildflowers during sunrise at Paradise. 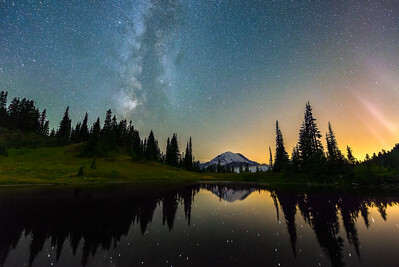 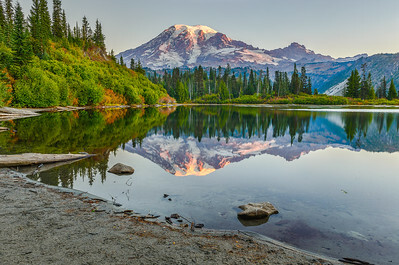 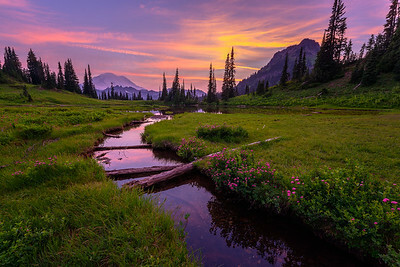 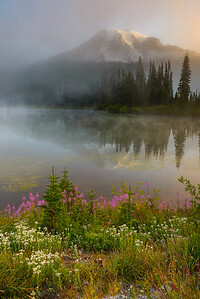 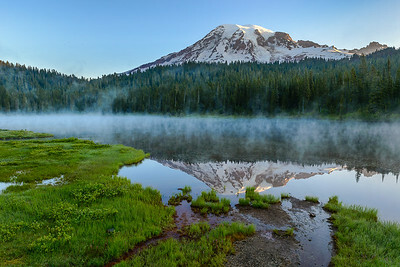 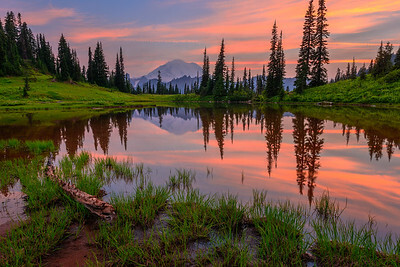 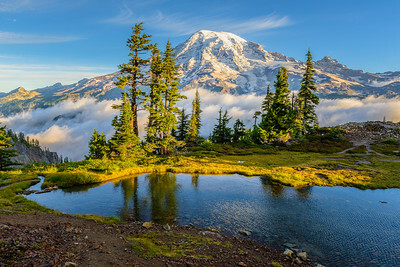 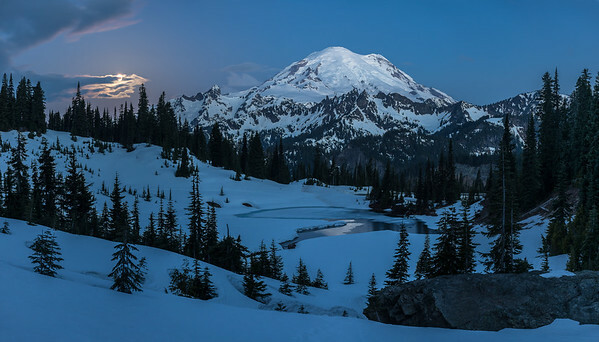 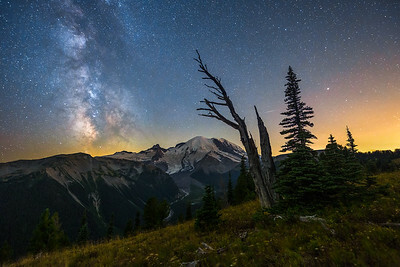 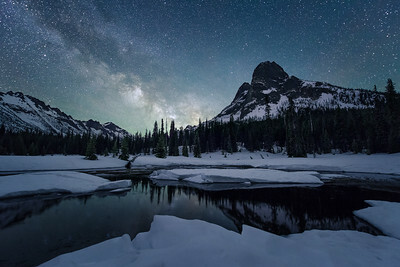 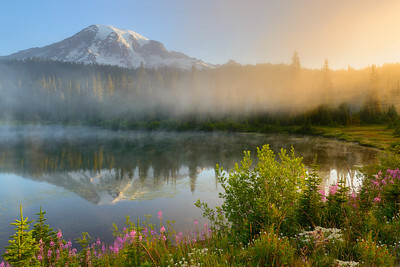 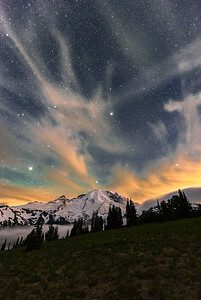 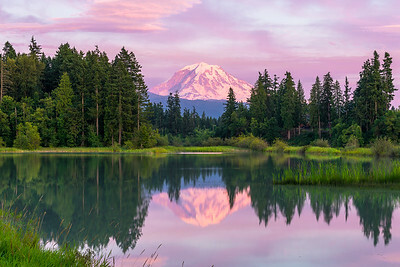 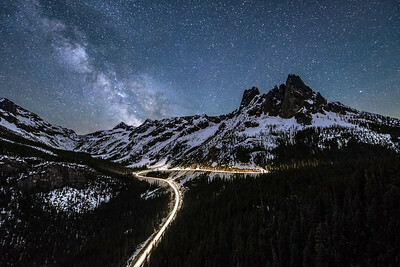 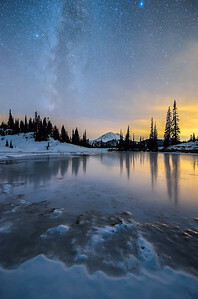 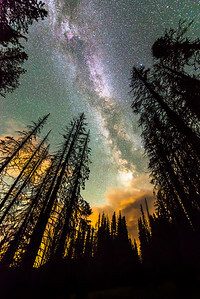 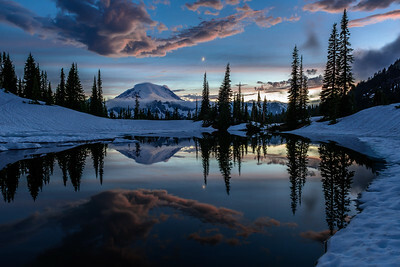 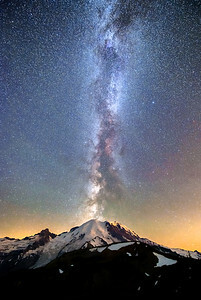 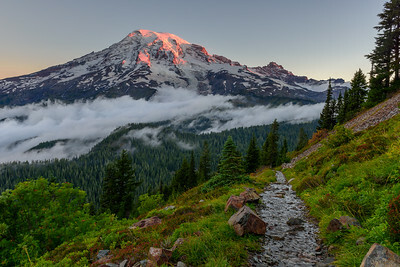 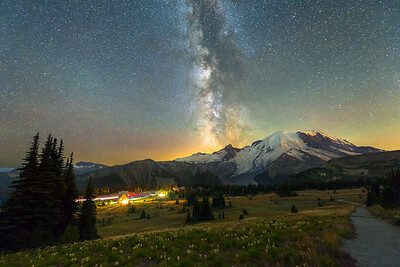 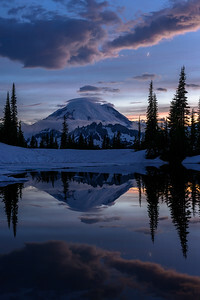 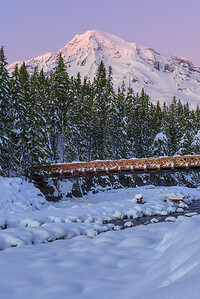 Mount Rainier National Park. 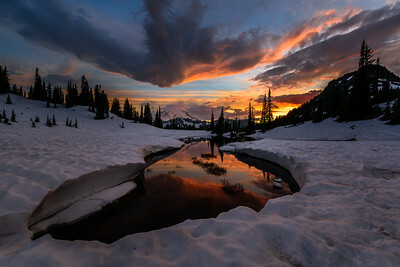 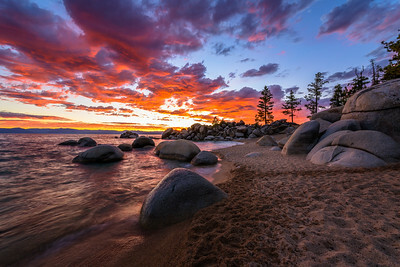 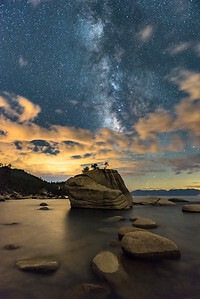 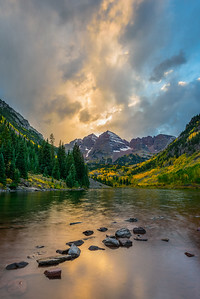 This image was capture in my own "back yard".....just around the corner.